Students who desire to attend a school or program outside of their designated attendance area may apply for Open Enrollment/Nonresidence authorization for the school or program of their choice. In order to apply, an Open Enrollment/Nonresident Application must be filled out. December 3 through December 17 is the period in which applications for open enrollment should be submitted to the requested school. Erie High: Nov. 1, 6:00 p.m.
Frederick High: Oct. 30, 6:00 p.m.
Longmont High: Nov. 14, 6:30 p.m.
Lyons High: Nov. 6, 6:00 p.m.
Mead High: Nov. 15, 6:00 p.m.
Niwot High: Nov. 29, 6:00 p.m.
Olde Columbine: Dec. 6, 3:00 p.m.
Silver Creek High: Nov. 28, 6:00 p.m.
Skyline High: Nov. 13, 6:00 p.m.
Career Development Center: Dec. 6, 3:00 p.m.
As a member of the Class of 2023, students will graduate under the state’s new graduation requirements. 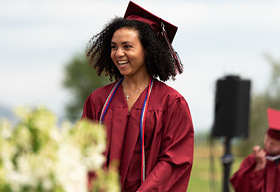 Coursework and credit hours were already a rigorous focus of St. Vrain’s graduation requirements but are now part of a three-pronged approach designed to educate and prepare students to become well-rounded citizens who are prepared for success in the competitive global economy. 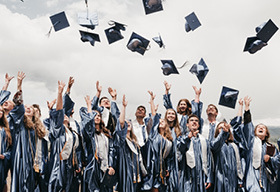 To graduate, students must complete an Individual Career and Academic Plan (ICAP), complete a minimum mof 24.5 credits, and demonstrate college and career readiness in both English and math. Open House: Nov. 1, 6:00 p.m.
Open House: Oct. 30, 6:00 p.m.
Open House: Nov. 14, 6:30 p.m.
Open House: Nov. 6, 6:00 p.m.
Open House: Nov. 15, 6:00 p.m.
Open House: Nov. 29, 6:00 p.m.
Open House: Dec. 6, 3:00 p.m.
Open House: Nov. 28, 6:00 p.m.
Open House: Nov. 13, 6:00 p.m. Thank you for your unwavering support of St. Vrain Valley Schools. Your outstanding dedication to the well-being and success of our students, teachers, staff and schools is a testament to our incredible community. Among our many high-quality programs, we are very proud of the outstanding portfolio of instructional options available across our high schools. Choosing a high school for your student is an important and personal step in charting their future path. 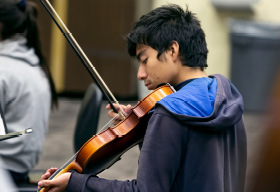 Toward this end, St. Vrain offers a diverse and extensive selection of rigorous academic programs that give your student a choice in selecting a school that best aligns with their interests and educational goals. Our many high school options include instructional focus academies in aerospace and engineering, biomedical sciences, business, energy, medical and biosciences, leadership, STEM (science, technology, engineering and mathematics), and visual and performing arts. 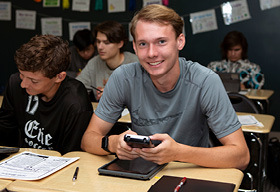 Other excellent instructional programs across St. Vrain include honors courses, Advanced Placement and AP Capstone courses, International Baccalaureate, CU Succeed Gold and Silver, P-TECH (Pathways in Technology Early College High School), our virtual Online Global Academy and the Career Development Center which offers eight high-quality Career and Technical Education programs. Successful completion of many of these programs can result in a full year or more of transferable college credit prior to graduation. The graduating class of 2018 had an opportunity to start their postsecondary education with approximately 12,000 college credits on their transcripts, potentially saving their families $3.4 million in tuition costs at local four-year universities. Student engagement is an important part of any comprehensive high school experience. Accordingly, St. Vrain offers a robust selection of co-curricular activities and enrichment options in every school throughout our district. Students can participate in the arts, music programs, athletics and many other high-quality activities that further support the development of well-rounded citizens who embody teamwork, leadership and strong character. This is a very exciting time in our schools as we continue to ensure student success and a strong competitive advantage for a globalized 21st-century economy. 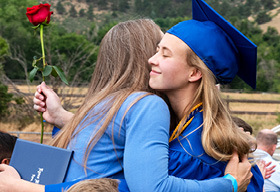 St. Vrain Valley Schools’ college preparatory and high-quality instructional focus programs – delivered through rigorous courses and engaging activities – ensure that your student will receive a world-class high school education. 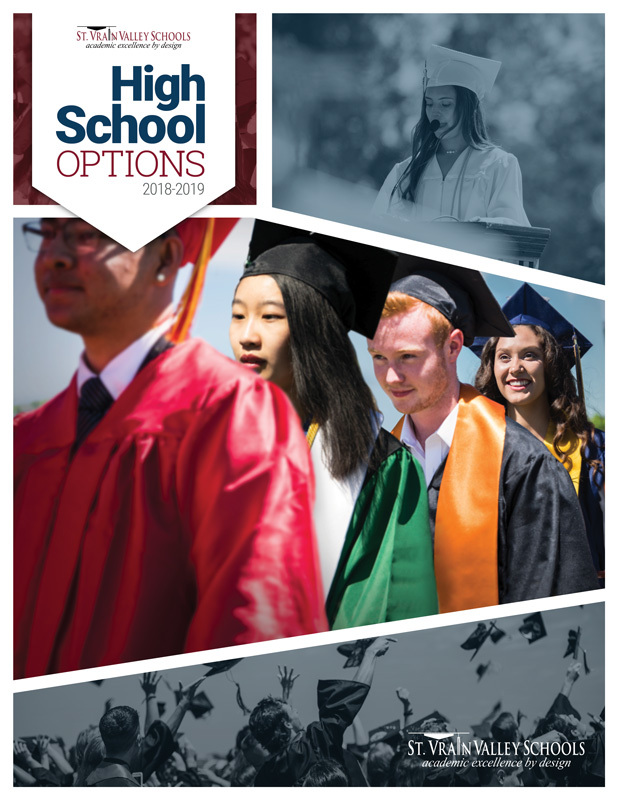 I encourage you to review our 2018-2019 Guide to High School Options and hope that you will attend some of our upcoming open house events. Take care, and as always, thank you for your continued support! Home of the Erie Tiger Network, a nationally recognized student broadcasting program. Over 80% of students participate in arts, activities and/or athletics. 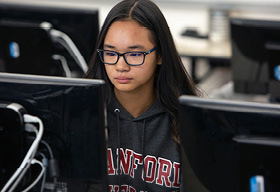 STEM education through engineering and computer science. Mead offers the AP Capstone™ diploma, along with 22 AP course offerings. This diploma designation signifies outstanding academic achievement and attainment of college-level academic and research skills. Over 75 percent of student body actively participate in co-curricular activities. Rich art, music and fine arts programs, along with state competitive athletic programs. The Discovery Program serves as the foundation of school culture and is utilized to develop a strong sense of community and a support system for all. The program teaches positive social skills, behavior management strategies, culture development and experiential activities. Theater and Dance: Four musical productions each year, technical theater and film making classes. Received several awards from the National Youth Arts, Rocky Mountain Region for production of Lion King Jr. Collaboration with Longmont Dance Theater Academy’s PBIP Program to support high-level dance students. 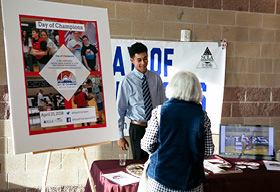 APEX students can participate in sports at their local St. Vrain high school to develop sportsmanship, fitness and skills. Falcon Tech is a Pathways in Technology Early College High School or P-TECH school. 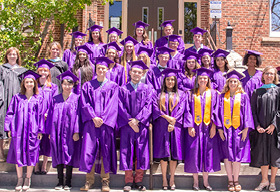 Students graduate in four to six years with a high school diploma from St. Vrain Valley Schools and an Associate of Applied Science degree from Front Range Community College. Students also receive mentorships and internships from IBM and are sought after during job interviews with IBM upon graduation. The AAS degree is at no cost to the students. All core area course offerings can be taken at the honors level. 600 E. Mtn. View Ave. Beta Sigma Delta Math Club, Book Club, Chess Club, Creative Writing, Fine Arts, History Club, International Club, Latin Club, Model UN, National English Honor Society, National Honor Society, Newspaper, Peer Tutors, Science Club, Science Honor Society, Spanish Nuts at Practice, Speech and Debate, STEM Club, Student Ambassadors, Technology Club, Video Production, Virtual Science Fair and Yearbook. All co-curricular activities at their school of residence. Students may participate in athletics at their school of residence provided they meet CHSAA eligibility. Open House: Nov. 29, 3:00 p.m. The Career Development Center (CDC) provides students with nine career pathway opportunities. 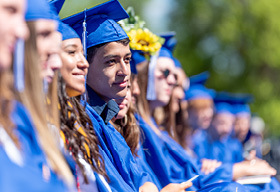 We provide quality educational programs aligned with St. Vrain’s graduation requirements, as well as postsecondary and workforce readiness competencies. Students gain valuable technical skills as well as a seamless transition to further education or employment through concurrent enrollment and or industry certifications. 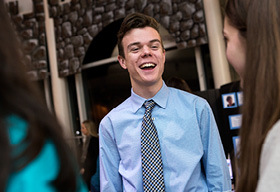 In addition to concurrent enrollment (dual college and high school credit) offered in some programs, students attending the CDC have the opportunity to participate in authentic work experiences such as project-based learning, job shadowing, clinical experiences or a capstone internship with local business and industry. Any high school student (some programs do not accept ninth-grade students) from St. Vrain Valley Schools may attend the CDC. Transportation is provided to and from each home high school and CDC. 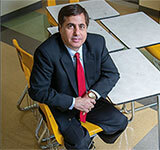 High School of Business™ is designed much like a college business administration program. Offered at Longmont High School, students take approximately one course per semester, beginning with Principles of Business. The program continues with courses in various business functions concluding with an internship and a capstone course. In the capstone course, Business Strategies, students use what they have learned from the first five courses to open and run their own business. In addition, students can earn six credit hours from the University of Coloardo Denver and three credit hours from University of Northern Colorado. The College Board’s Advanced Placement (AP) Program is a nationally recognized academic program designed to provide motivated high school students with weighted, dual-credit college-level courses. Students will build study skills for a successful college experience. AP courses give students the opportunity to earn college credit, save on tuition and to graduate college in less than four years. AP courses are available at all high schools. Available at all high schools, the Concurrent Enrollment Program provides an opportunity for juniors and seniors to earn both high school and college credit. This option is available to students who have completed a minimum of 11.5 credits toward graduation. St. Vrain offers college courses through the University of Colorado’s CU Succeed Gold and Silver Programs. 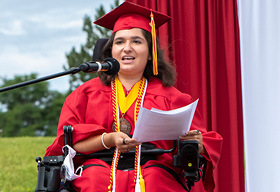 The programs provide students the opportunity to take college courses during high school hours while simultaneously earning college credits through the University of Colorado at Denver. Students take a qualifying course at a weighted grade and earn college credit at a fraction of the cost of most university courses. 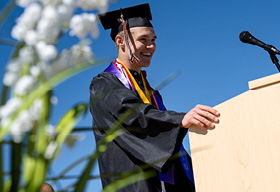 The CU Succeed Gold and Silver courses help position students for academic scholarships. 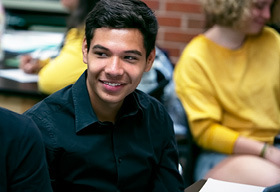 The IB Diploma Programme at Niwot High School is an internationally recognized, comprehensive curriculum that leads to a high school diploma and a prestigious IB diploma. Selective and competitive colleges and universities around the world recognize the IB Diploma. IB course grades are weighted and when the program is successfully completed, the student earns between 24 and 40 college credit hours. 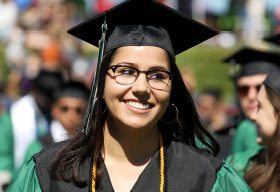 IB graduates are guaranteed admission to all Colorado state colleges and universities. 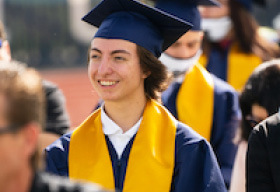 Students who graduate with an IB Diploma begin their college careers as sophomores and are positioned for academic scholarships. Honors courses prepare students for the rigor of Advanced Placement courses by introducing the writing and critical thinking skills necessary for advanced coursework. Honors courses are available at all high schools, open to freshmen and sophomores and receive a weighted grade. 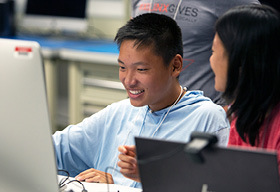 P-TECH is a new model of education connecting high school, college and the world of work through college and industry partnerships. 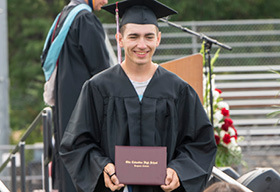 Offered at Skyline High, it is a model that allows students to earn a high school diploma as well as an Associate of Applied Science degree in Computer Information Systems from Front Range Community College at no cost to the student. Included with this program are significant internship and mentorship opportunities with IBM and other industry partners giving students a head start on the other side of completing the program. 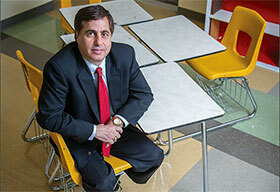 Students begin in ninth grade for a program that can be completed in four to six years. Erie High School is embarking into a new era of taking academic excellence to the next level through its new Engineering Focus Program. 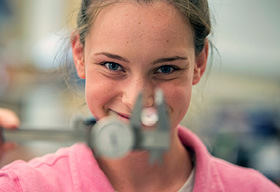 Students will be able enroll in exciting classes which introduce the concepts of engineering design, automation, computer science and software design over their four years of high school. Students who complete three years of study prior to their senior year will enroll in a research and seminar capstone project which lasts the whole final year of high school. Their research is around an open-ended "real-life" problem which needs solving. Their presentations are judged by engineers from our school's industry partners. DNA analysis, indentification of disease biomarkers, hands-on anatomy study...these are just a few of the specialized experiences now available to students enrolled in the Biomedical Sciences program at Frederick High School. 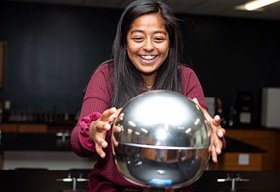 Developed through Project Lead the Way (PLTW), this new program gives students a chance to lead their own experience through specialized course-work and real-world applications that prepare students for the rigors of advanced university study and STEM careers. This fall, the 4-year program launched with 18 freshman students admited after a rigourous application process. In addition to qualifying grades, attendence records, and teacher recommendations, students must also write an "innovation-task" essay in which they identify a medical problem and propose a solution. The Mead Energy Academy is a unique program that offers a secondary public education devoted to the principles of energy. The program will require core courses of all students while offering a choice between academic college-bound course work and practical workforce-ready course work. Cross-curricular courses in math, science, social studies, language arts, business and more will be taught to support our energy focus. The program will prepare students for college studies, technical education, certification programs and the workforce. 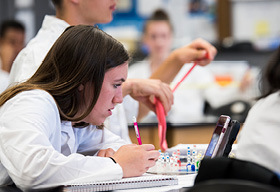 The Medical and BioScience Academy (MBSA) of Longmont High School is designed for students interested in careers or post-secondary education rooted in the health sciences. According to the U.S. Department of Labor, industries surrounding the health sciences (including biotechnology, medical studies, and other related fields) are expected to experience a tremendous amount of growth over the next 10 to 20 years. MBSA students are primed to take advantage of this opportunity. 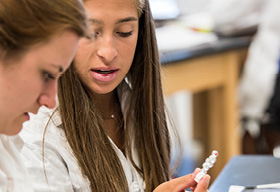 The MBSA provides rigorous college-preparatory curricula and instruction that prepares students for highly competitive admissions, and post-secondary education programs in medicine, research, and allied health sciences. 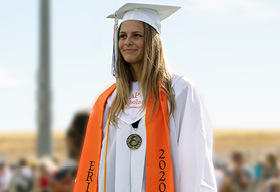 The mission of the Science, Technology, Engineering, & Mathematics (STEM) Academy at Skyline High School is to help students realize their potential for success in STEM careers by supporting their exploration of STEM related fields, by encouraging the development of 21st-Century skills, and by providing them with a head start in pursuing their post-secondary education. Skyline High School STEM courses are designed so that students have the opportunity to develop multi-cultural relationships within teams to collaboratively solve problems and to develop leadership skills. Hence, the courses not only improve the academic component of the students’ lives but also provide valuable life lessons that can be applied to solve tomorrow’s problems in the real world. 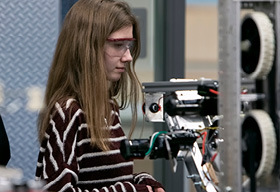 The Skyline High School STEM Academy has a unique partnership with the University of Colorado’s College of Engineering. Graduate students from this program work directly with Skyline High School faculty in course development and instruction geared towards producing tomorrow’s problem solvers. 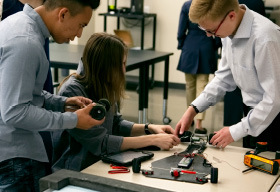 High performing students graduating from the Skyline High School STEM Academy have the ability to earn guaranteed admission into the University of Colorado’s College of Engineering. © 2018 St. Vrain Valley Schools. All rights reserved.